Perfect midsize 10 lb. 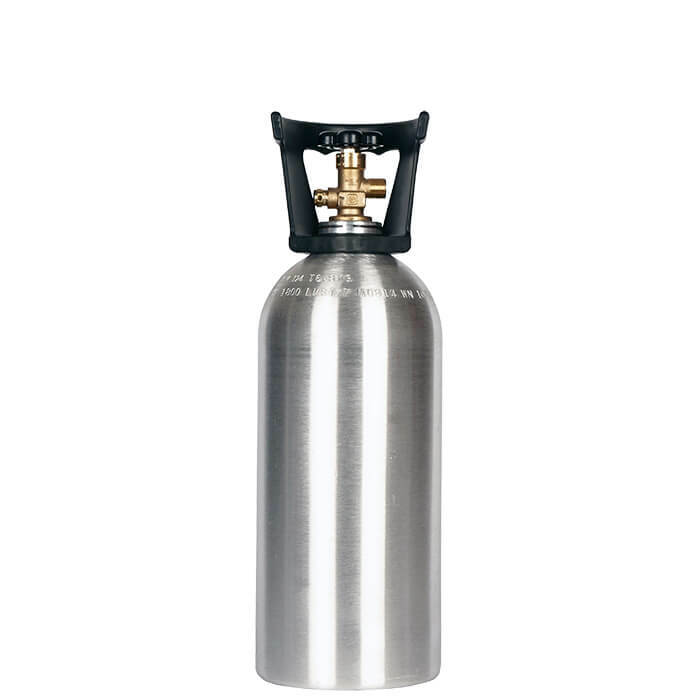 aluminum CO2 cylinder with carry handle. 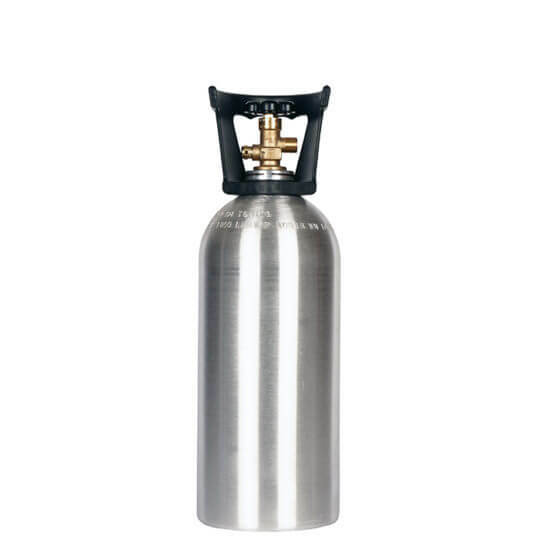 Strong and light, and engineered for balance between capacity and portability. New 10 lb. 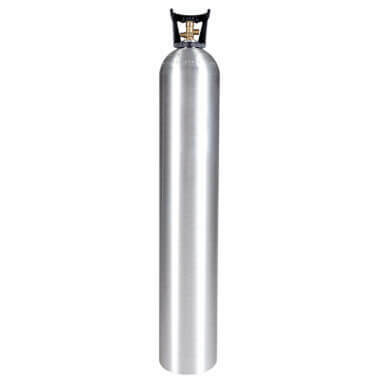 aluminum CO2 cylinder with CGA320 valve and carry handle. 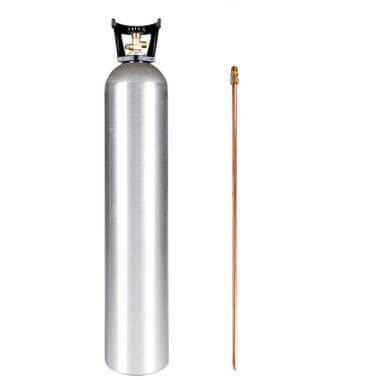 A great mid-size, high-performance CO2 tank. 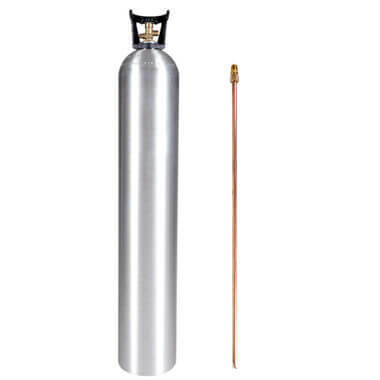 A 10 lb CO2 cylinder with handle and siphon tube is also available for cylinder-filling and special effects applications.